Haro Recycled plastic BMX pedals are great for park and street riding. Finished in stealthy black for a clean look on your bike. 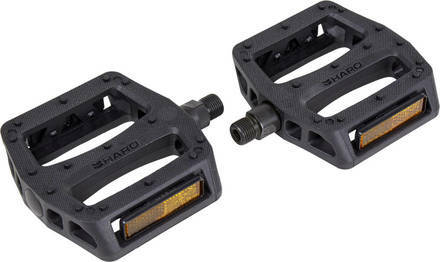 Fits on bicyles with a 2-piece or 3-piece crank.